Experience a weekend of activities ranging from the hotel’s iconic Celebration of the Arts Hawaiian cultural event to a lavish Easter Brunch. 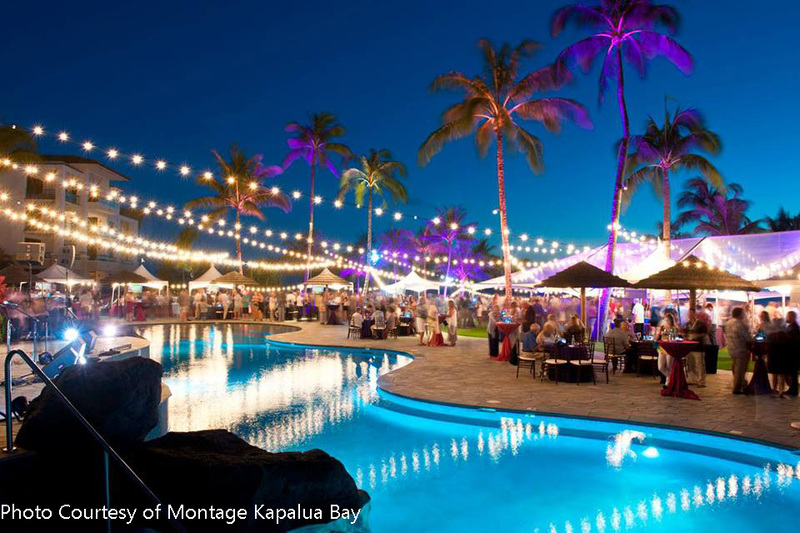 Join this year's holiday festivities with Montage Kapalua Bay! Join the Montage Kapalua Bay for exciting events during the month of December! Join the Montage Kapalua Bay for exciting events during the month of April! Join the Montage Kapalua Bay this month for exciting new events and offers! Join the Montage Kapalua Bay during the month of August for our Sunday Brunch and Bloody Mary bar, open air market, and live music. Hope to see you soon! Join Spa Montage Kapalua Bay and Lululemon for a complimentary event. Please join us as we welcome Iron Chef America Champion, Chef Mark Tarbell for a special collaborative dinner with Montage Kapalua Bay Executive Chef, David Viviano. A culinary journey that you do not want to miss. Enjoy the opportunity to intimately dine with these talented chefs while perched on a cliff with breathtaking views. Join the Montage Kapalua Bay for free kid's meals and Kapalua Wine and Food Festival events!